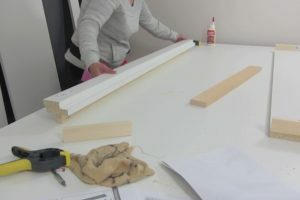 Cabinet top assembly is the part that goes between the two side cabinets at the top of the bed. 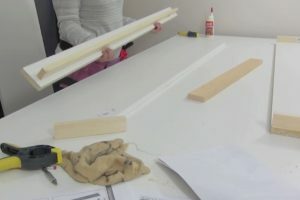 The cabinet top is the part that will be used to mount the bed to the wall at the end of the assembly process. 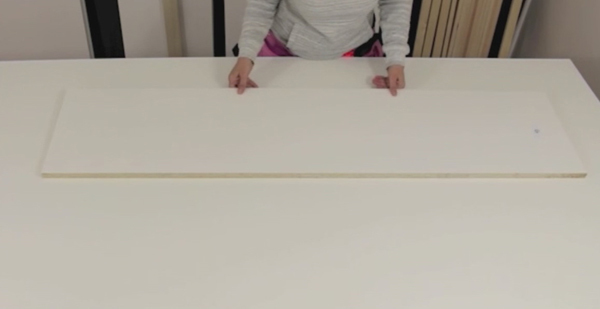 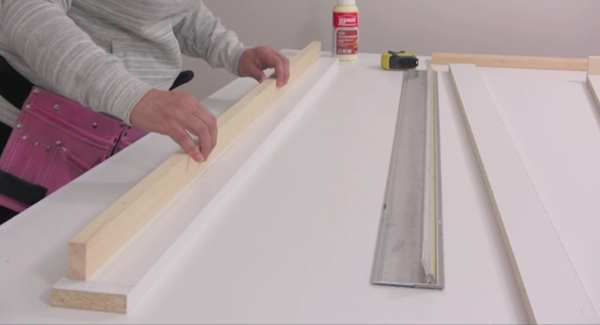 This is the part that you will start the process of building your Murphy bed with. 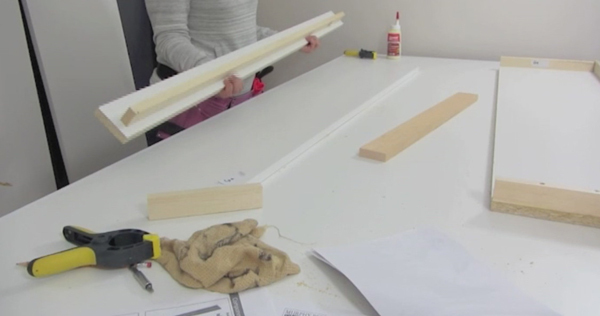 The pictures below show you the basic step by step construction of the cabinet top component. 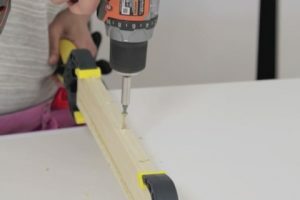 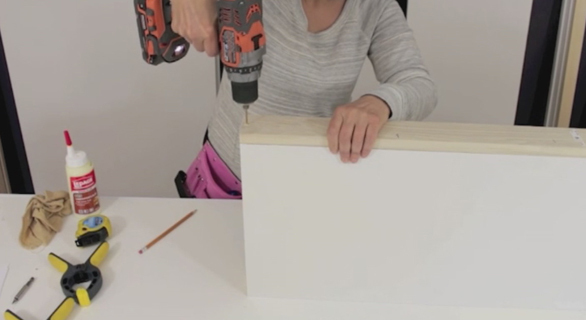 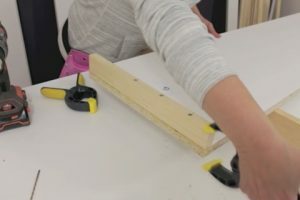 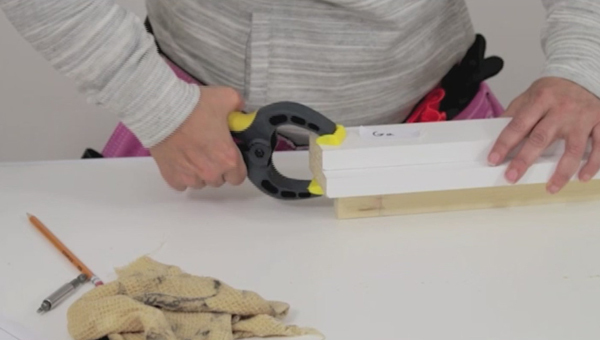 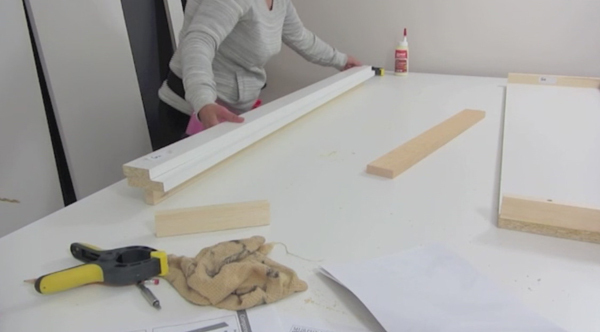 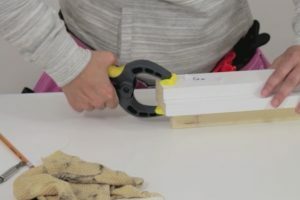 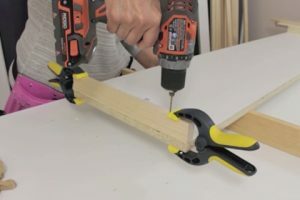 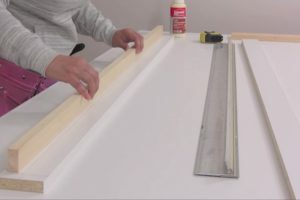 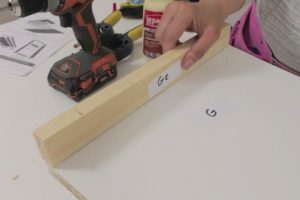 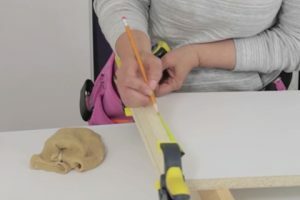 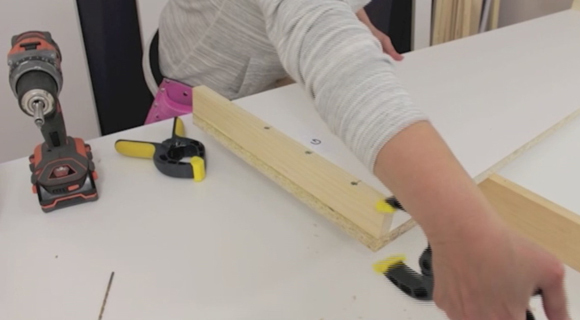 Although you build these parts at the beginning of the project, the bed stopper part will be the last part that will complete your Murphy bed project. 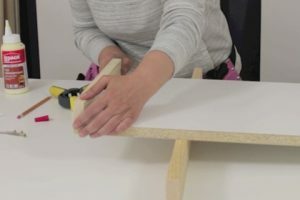 keep in mind that you should not attach the cabinet top front to the cabinet top component until you are done anchoring the bed cabinet to the wall at the end of the assembly process. 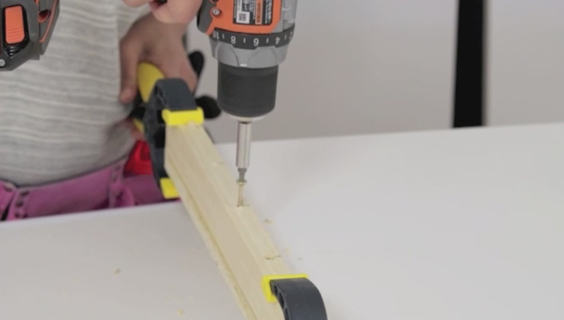 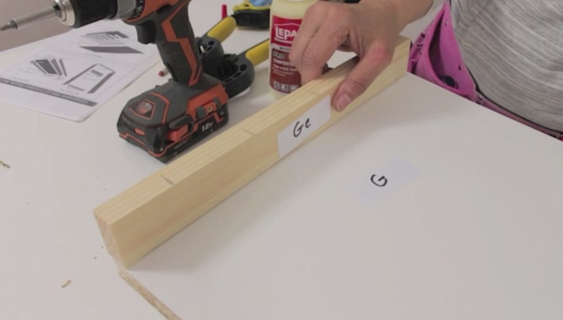 The pictures below show you the basic step by step construction of the bed stopper component.